SLEEK MODULE DESIGN- No frame, no back sheet. 2 mm physically tempered glass exclusively as front and back protection matrial. OUTSTANDING WIND/SNOW PERFORMANCES- Certified to withstand high windloads of 2400pa & snow loads of 5400 pa.
PID FREE-Potential induced degradation (PID) free guaranteed. MICRO-CRACK FREE-No micro-cracks under harsh transportation, complicated handling and istallation conditions, and during lifetime module operation. SUPREME FIRE RESISTANCY-Glass-glass design helps to save module from damages caused by arc and hot spots, eliminating potential danger of fire. SUPERIOR WEAK LIGHT PERFORMANCE-Outstanding weak light performance guaranteed by manufacturer's anti-reflective nano-coating technology. EXTENDED WARRANTY-30 years linear power out put warranty. POSITIVE POWER OUTPUT TOLERANCE- 0/+5W positive tolerance. CLEANING WITH EAASE-Framless design, no dust trapped on the edge. 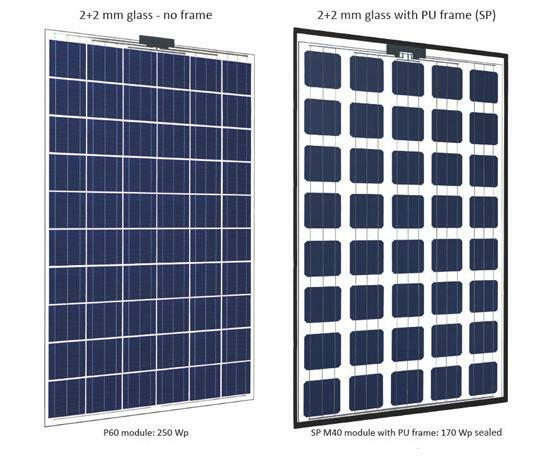 2mm tempered Ultra-clear glass has patented Anti Reclective Coating (ARC) used for solar PV cells. After the coating, the transmittance of the ultra-clear glass increases more than 2%, the photo-electric conversion efficiency will increase over 2%, which have significant economic and social effect. At the same time, the surface nano-coating imitate the principle of lotus leaf structure, its excellent hydrophobicity and surface anti-static and the bump-like micro-structure make the dust not adhere to the surface, the surface can be cleaned only by rain wash. This feature is a significant technical improvement under the harsh natural environment. 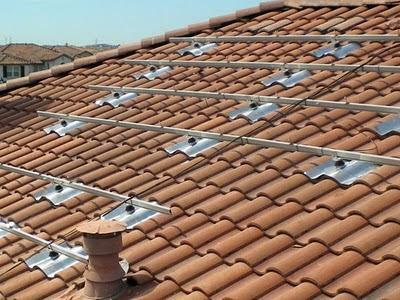 It makes great sense to coating on the ultra-clear glass used for solar cells).